2017 In A Sentence: In most years, a 9-4 season would be a very good season but with a very talented group of seniors last year, losing in blowouts to Apple Cup rival Washington and the Holiday Bowl to Michigan State left a bitter taste to Cougar faithful. Biggest Shoes to Fill: QB Luke Falk rewrote the Pac-12 and school record books, finishing his career as the Pac-12’s all-time leading passer, with 14,486 passing yards and 119 touchdown passes. He finished his WSU career as the winningest quarterback in school history, with a 27-13 career record that includes a school record seven fourth quarter comeback wins. He was a 6th round NFL Draft pick of the Tennessee Titans this past spring. Key Player: SS Jalen Thompson led the Cougars in tackles with 73 and interceptions with four in 2017. The now-senior will lead a defense that last year finished in the Top 10 in tackles for a loss and turnovers. He will hope to lead a defense that may be in a bit lower scoring games given the losses on offense. 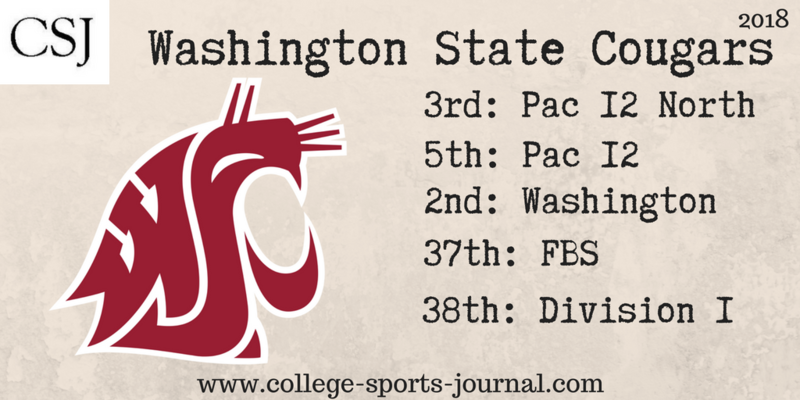 Fearless Prediction: Washington State went from eight wins in 2016 to nine last year but with so much talent lost from a team last year, expectations will need to lowered some. 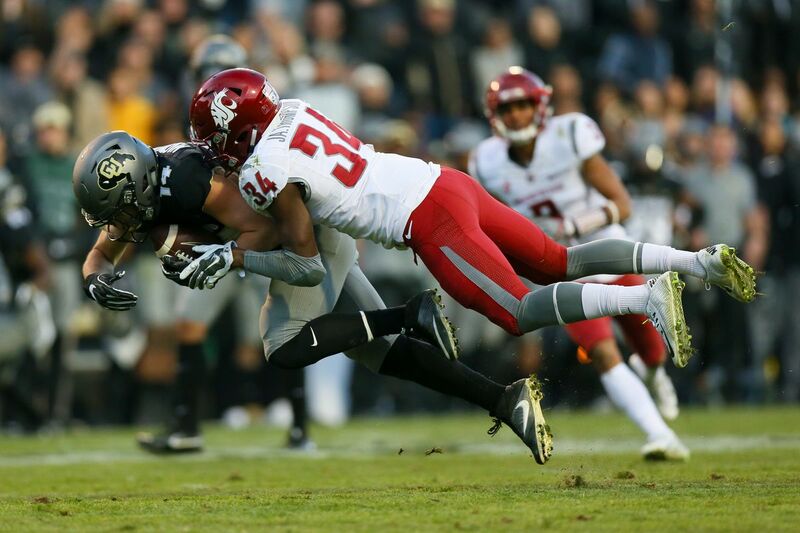 Yet this team has some new talent including a strong defense that will keep the Cougars in several games and should still get to the upper half of the Pac-12 North standings and a bowl game.